NOV25 1255PST. Marvell Technology Group Ltd. (MRVL) has spent the last month consolidating just beneath a 2-year price channel, shown below in dashed red. 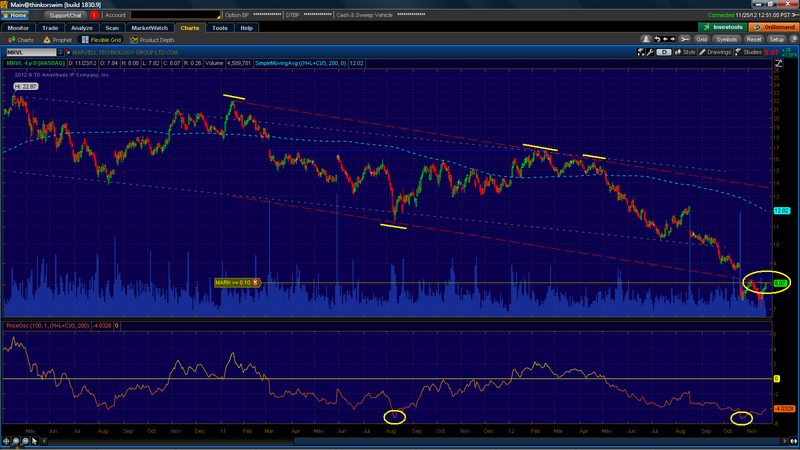 Should price action break through this channel resistance, shares would be well positioned to rally further. MRVL. April 2011 to present. Daily candles. Augmenting the bullish argument is the behavior of the difference between price action and its 200-day simple moving average (SMA), graphed in the above screen shot by the oscillator that's just below the price graph. In last month's precipitous decline, bearish sentiment brought price to over $5 below the 200-day SMA, matching the level of bearish sentiment of mid-August 2011, when price action formed a durable bottom. 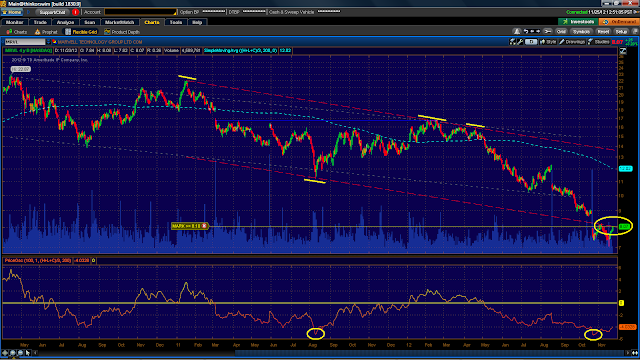 Both the August 2011 and October 2012 lows in the oscillator are circled in yellow above.